The cause for snoring can be anything. You may develop snoring for reasons like a common cold, allergy, obesity, lifestyle disorder, alcohol consumption etc. Medications and physiological disorders like congestions, heart problems or even Sleep Apnoea are some other causes for snoring. Whatever may be the reason, you can stop snoring without using anti-snoring aids. But you must get your snoring evaluated by a doctor rather than make a guess. 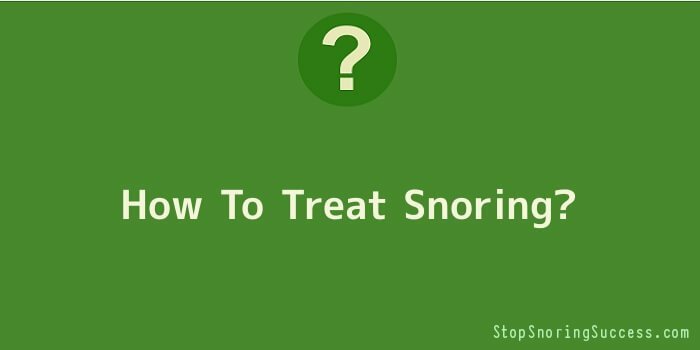 While doing so, go through the following advices given to stop snoring. Try to play a juice harp, which is an instrument of music. Learn to play it in your stride to help with the snoring. The instrument is played with the mouth. You place the instrument in your mouth and when you pluck the sound tones on the instrument; you invariably tighten and loose the mouth muscles to produce different sounds, which is a good exercise. Exercise everyday to strengthen all your body muscles. When you exercise hard, you sleep deeply and soundly, and you get a good night’s sleep. When your muscles are stronger your throat muscles also tone up and there is little chance of your throat muscles closing at night during sleep. A woman if she finds herself snoring in her pregnancy stage has to inform it to her doctor. It is a matter of concern, for the baby should not suffer because of short supply of oxygen. If you are overweight and feel that you will develop snoring or have already, then it is better to avoid snoring by trying to lose some gained muscles probably by exercising. Weight reduction is also a method to stop snoring. You may consult your doctor to eliminate snoring by the use of mouth guards. These are found very effective in 95 percent cases. The mouth guards can hold your teeth and jaw in position, to widen the gap in your mouth to allow free flow of air to the air passage. The lower jaw muscles are held forward to keep the throat muscles from slackening and thereby obstructing the air flow. The most important thing is to keep your throat muscles and tissues in strength. Try doing exercises to strengthen them and prevent snoring. A brief exercise is elaborated here. Pull the jaw forward and backward 10 times, then open and close your mouth, stretching the jaw muscles. You can keep something firm between your teeth and bite hard for a few minutes. These are good for strengthening the muscles.